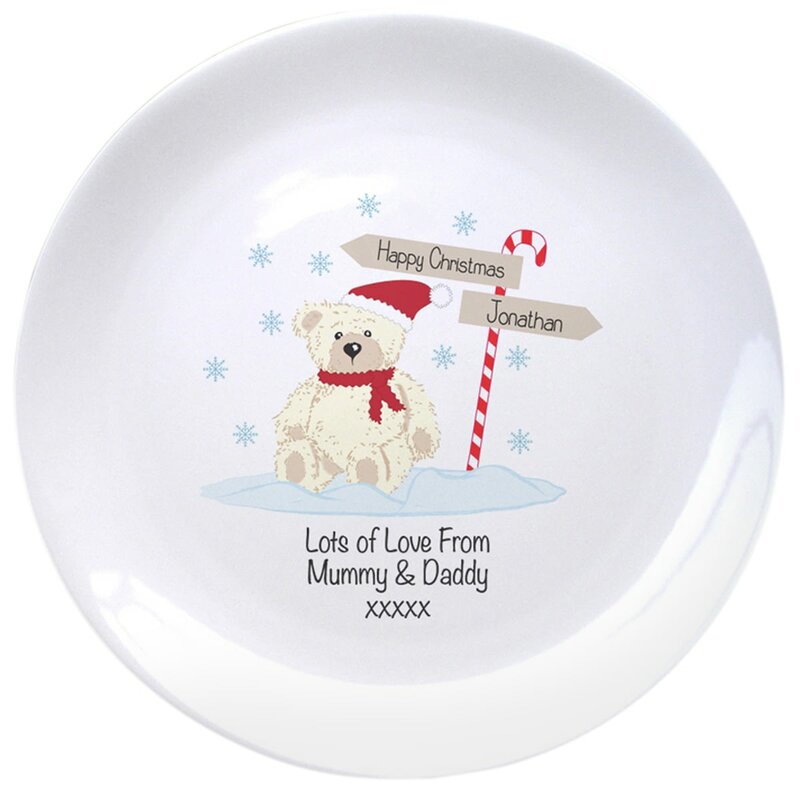 A cute Teddy surrounded by snowflakes at the North pole adorns this 8" bone china plate, perfect for the first Christmas of a precious little boy or girl. Your message for the little one is included around the design ensuring this is a gift that can be cherished long after the little one has grown up, and will take pride of place on the mantle of his home. Light up someone's Christmas with this bespoke candle. The cuddly Teddy design stands out from the ivory wax, and is personalised with any name and a message from you. Personalise this cute Christmas Stocking with a name of 15 characters. Personalise this cute Christmas Sack with a name of 15 characters. This 170gsm cotton sack is 46 cm wide and 60 cm tall. The magic of Christmas can always be treasured with this adorable Teddy and candy cane bauble.